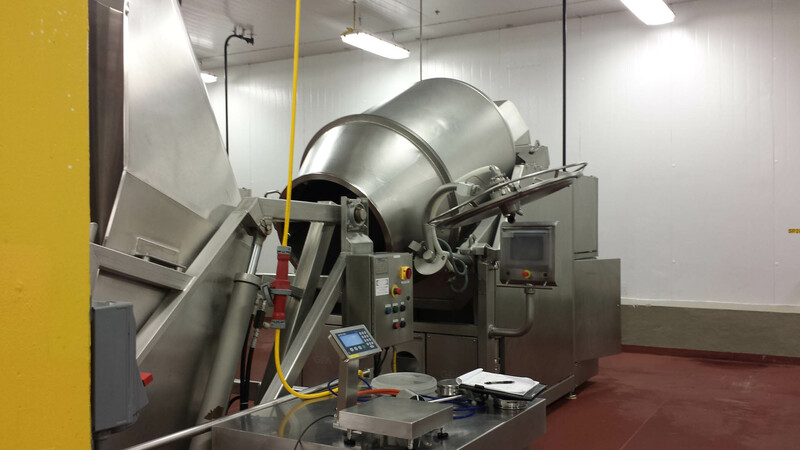 CEITM provided a broad spectrum of services to this meat jerky processor from engineering design to project management assistance in order to fully upgrade an existing processing line to a newer, more automated and efficient process. CEITM analyzed the existing jerky production facilities from receiving through packaging, and designed multiple upgrades for the client for minimal downtime of the existing operation. The processing line changes increased quality, improved sanitation, and reduced operating costs allowing the client to gain a competitive advantage in total cost per pound of product. The limited shutdown of the existing production operation during project installation was a key consideration for success of the project. Critical aspects of this project included an accurate preliminary cost estimate, schedule, and block flow diagram with process mass balance during the initial design phase. CEITM evaluated critical design variables and created general design criteria for the quality of the systems required.